When I heard the news that Stephenie Meyer had re-written Twilight with (nearly) all the characters’ genders swapped, about three things I was absolutely positive; first, this publication would be an immediate target for pop culture ridicule. Second, there was a part of it–and I didn’t yet know how potent that part that might be–that I myself would mock. And third, I was unconditionally and irrevocably committed to reading that book in full. Look, I’ve had as much fun as anyone making fun of Twilight in the past, but I’m also willing to defend certain aspects of the series and I definitely don’t think it deserves the amount of ridicule and scorn it gets. I wholeheartedly agree with the sentiment expressed in articles like this one by Daniel Kraus, and even the widespread (and totally deserved) criticism of Edward and Bella’s relationship is I think in a way very positive, because the message of how to identify signs of an abusive relationship reached a huge audience through that common frame of reference, and it gave many young readers a context to push against as they grew. I put myself in this category, too–I devoured the entire series one winter break, and thoroughly enjoyed it even as I recognized it had flaws. Later I read more analyses and deconstructed it further and became more demanding and critical of relationship portrayals in new stories that I encountered, thanks to what I had learned from and rejected in Twilight. I’m not saying that was Meyer’s intention, I’m saying it’s a legitimate result for me and I believe for many others that was born out of the series. 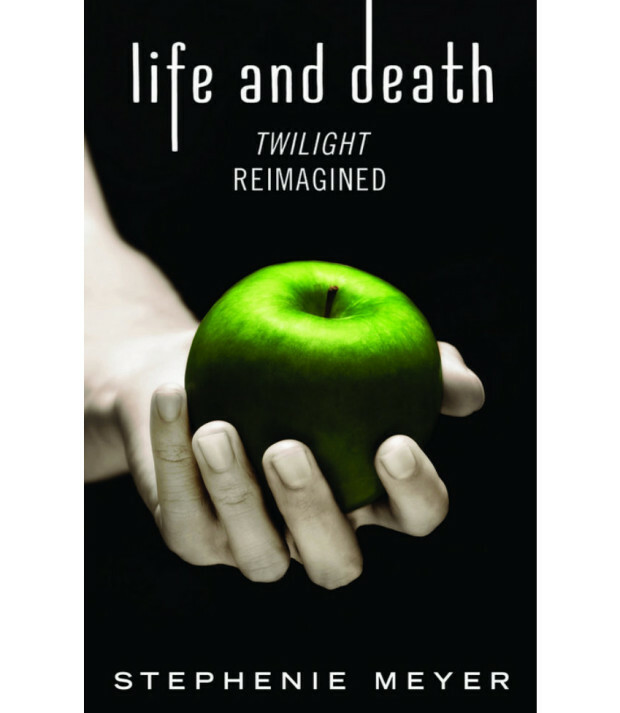 Does the Green apple signify all the money that Stephenie Meyer is making with this “rewrite”? Theo James who plays the love interest in my film is 28, in the book his character is 18, but in the movie we’re making him about 24/25. He’s kind of ageless in a way. And even though in the book Tris is about 16, we never allude to the fact that she’s that young. I am not okay with this. I don’t see how it will be possible not to “allude” to Tris’s age when the choosing ceremony that starts off the plot happens when citizens are 16. If they’re deciding Four is 24, he’s 8 years older than her and a creepy pervert for getting into a relationship with her, as opposed to book-Four who is only a year or two older than Tris. 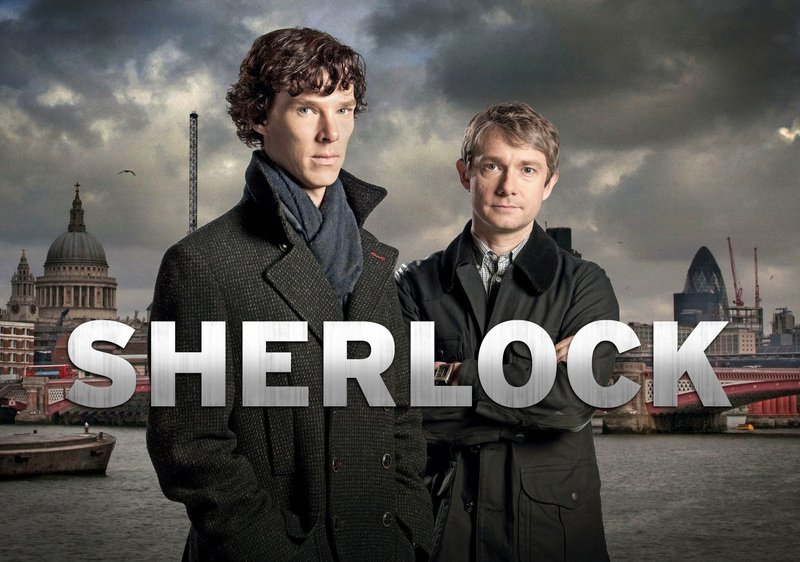 I don’t want to watch a man with giant muscle-arms punch people and kiss a young girl. I wanted to watch two teenagers, tougher than their bodies appeared, face difficult decisions and get butterflies when their hands touched. Second, Tris is wearing way too much make-up. I suppose they’re projecting Christina’s makeover to last for the entirety of Tris’s Dauntless days, but the scene at the end where she looks up with eyes rimmed in black irritated me because Abnegation-born Tris just wouldn’t smear that stuff on to go to a training session. But I’ve seen nothing from this movie so far about Tris being Abnegation-born other than “she wears frumpy gray clothes and a bun at the beginning!” It’s too intent on selling me Tris as a badass Dauntless to remember she has aptitude for multiple factions and that’s why she’s Divergent in the first place. Thirdly, why did they feel the need to embellish Four’s back tattoos with these totally unnecessary and meaningless bands on the sides? Is it because the costume designer wanted an extra outlet for their personal creativity? Is it because movie makers insist on visualizing characters differently from how they’re described in the books so that no pre-existing fanart or cosplay will be legitimized and fans will be more inclined to just buy the official replica merchandise they’ll be sure to market soon? (That’s what it feels like.) I just don’t see any reason for all that extra ink. 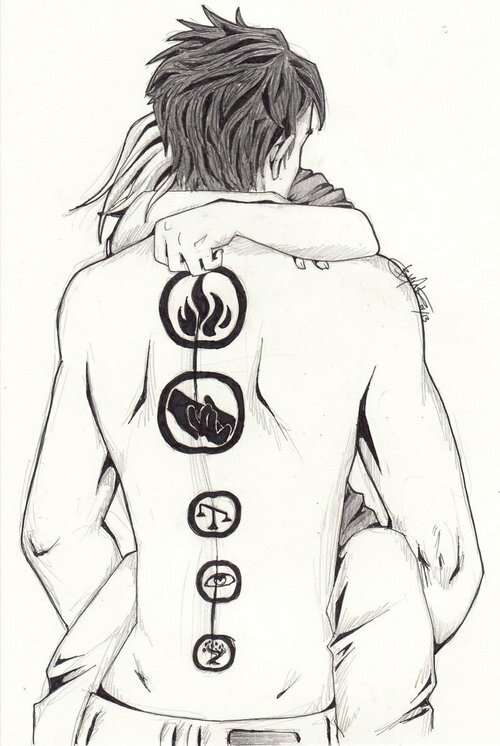 Each of Four and Tris’s tattoos in the book are chosen with significance; they’re not in it for the body art. And what would have been so difficult about doing it like the book said, and like the fanart bellow illustrates? Tris runs her fingers down Four’s faction symbol back tattoos in the Divergent trailer. Four’s tattoos, by tumblr user chrysalisgrey (formerly ice-ridden). I’m not making these grievances up out of thin air; I feel like they’re legitimate concerns. But the reason these flaws are so frustrating to me is that I really connected with the book. I identified with Tris, as someone who grew up in a very conservatively-dressing, emphasis-on-serving-others household but never felt like I was naturally good at the selflessness I was supposed to be enacting. 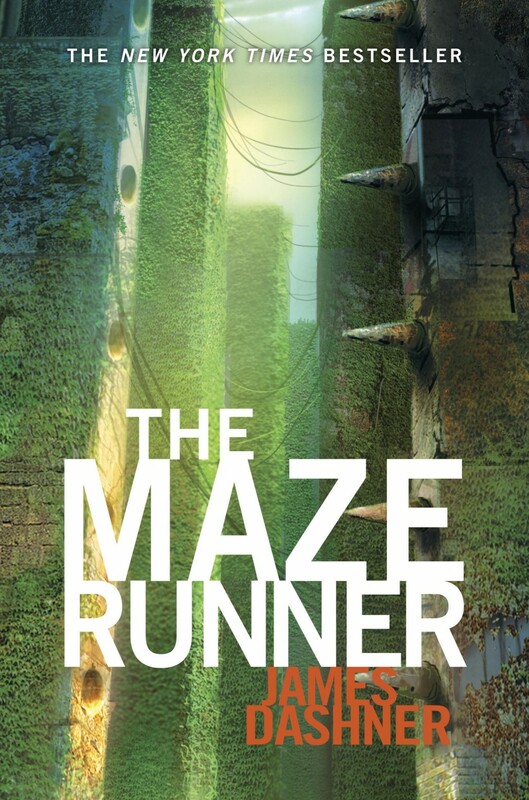 When Tris self-consciously noted, taking off her jacket before her jump into the Dauntless hole, that it was the first time anyone had seen her in anything as revealing as her tight t-shirt, I vividly remembered the first times I wore a spaghetti strap shirt or a two piece swimsuit, in college after I had moved out and my parents couldn’t enforce their dress code anymore. In the book, I loved the idea of asking what the value of virtues like honesty versus bravery or harmony is. 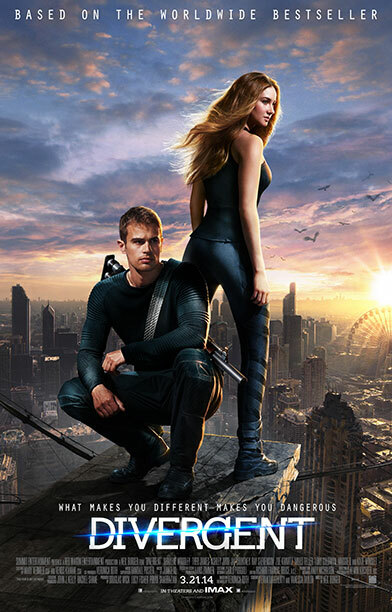 As I’ve written previously, I loved the straightforward way that Tris and Four’s relationship develops. I loved the Dauntless manifesto’s assertions that “We believe in ordinary acts of bravery, in the courage that drives one person to stand up for another.” and “We do not believe that we should be allowed to stand idly by.” I loved that Four embraced the value of all faction virtues. I loved that Four said “I have a theory that selflessness and bravery aren’t all that different.” I loved that sacrificing oneself for another was a repeated theme. I loved that Tris chose to get a tattoo of not only her chosen Dauntless but also her family heritage Abengation symbol, to recognize the value in where she came from, to acknowledge that while it wasn’t her choice to live within that strict code, she didn’t reject it entirely. I felt I could relate to that, too. I don’t see any of what I liked about the book in this trailer. I see an attempt to market this as an ACTION MOVIE with FIGHTING and GUNS and DANGER OF BEING KILLED. Yes, it’s true that in the book, Jeanine is attempting to eliminate all Divergents, that others exposed as Divergent have been killed, and that if Tris’s condition is revealed she would be targeted as well. But that’s not what the story is about. At least not to me. The best thing about the trailer is Kate Winselt’s villain (Jeanine Matthews), and that role is clearly being fleshed out more than it exists in Tris’s narration. But Four is too old. Tris is too defiant. (And ugh, this is nit-picking because I know this language use is common, so it’s fine, whatever, but it’s really irritating that she spits out “don’t try and define me!” instead of “don’t try to define me!”). Ugh. I don’t know. Maybe I am really just an old curmudgeon these days. What do you think?